Hello, everyone! One of my favourite outfits is to wear Monochrome! It is definitely one of the easiest way to style the outfits while looking stylish at the same time. 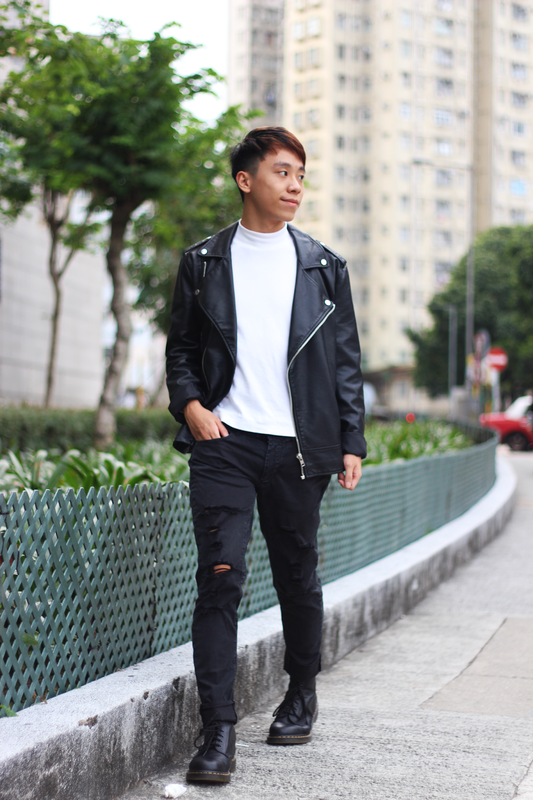 Although winter is approaching, I wanna share one of my favourite fall items that you guys should have, and it is leather jacket! I got this faux fur leather jacket from Forever 21 last year. Forever 21 is one of the brands that I love to go shop during winter times. Because they simply make the best and cheapest outerwear! Anyway, it's sad to hear that flagship store of Forever21 in Causeway Bay, Hong Kong will be closed later next year. It will be turned into Victoria's Secret. This is a flawless look! You can't go wrong with monochrome! Love how you styled this monochrome look. You're so stylish. This jacket was such a great find from Forever 21! Love this cool monochrome look Daniel! That moto jacket looks so good! You styled it well! You look great Daniel!! Love that leather jacket! Such a classic outfit, love the leather outfit! I'm such a fan of monochrome looks, I totally agree that they are the easiest way to be stylish. I got a leather jacket from H&M two years ago and I still wear it daily, I know how you feel, haha! U look incredible! :) I also love faux leather jacket. They are amazing and essential for our daily outfits. Love this look!! So good! I love your outfit! 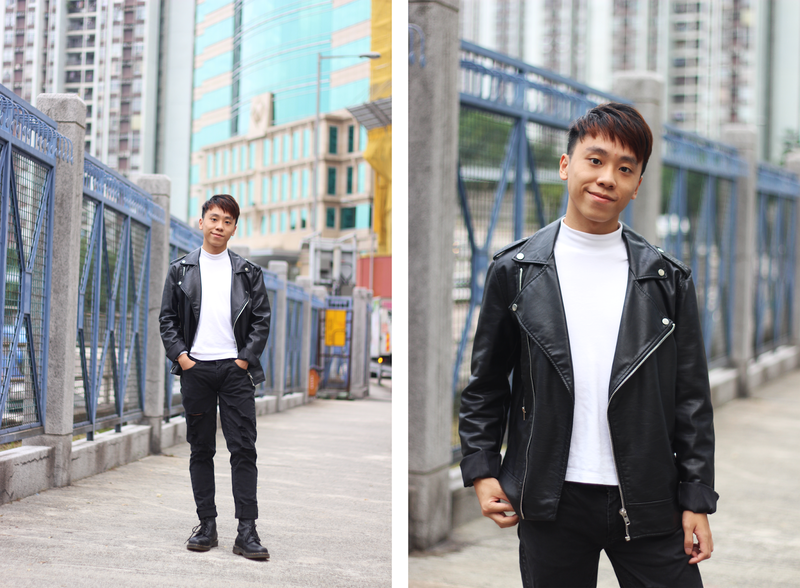 Your leather jacket is so chic! Such a rad look! Love your leather jacket, Daniel! I'm loving this monochrome outfit, Daniel! I love how you added the moto jacket, which adds some texture and dimension to the look, brining it to life! Thanks for sharing and I hope you're having a great start to your week so far! Love the location and ripped denim! 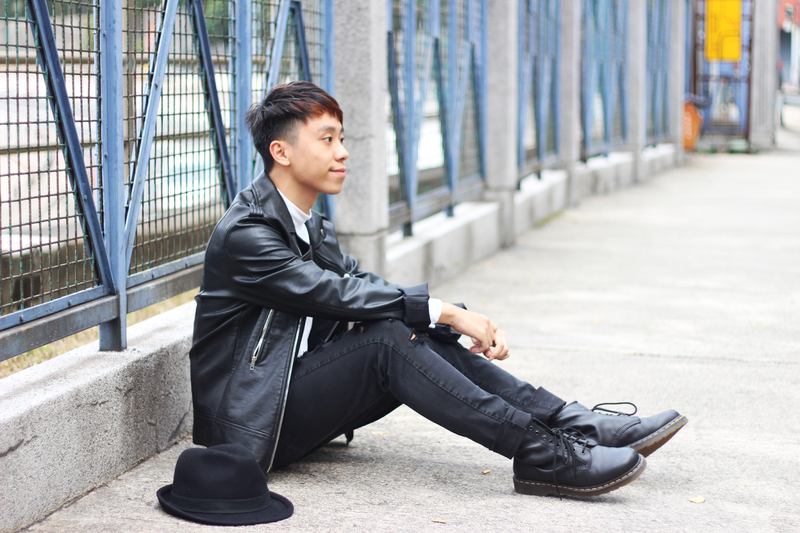 Loving the all black look and classic Docs! You are so stylish! I love this combo! 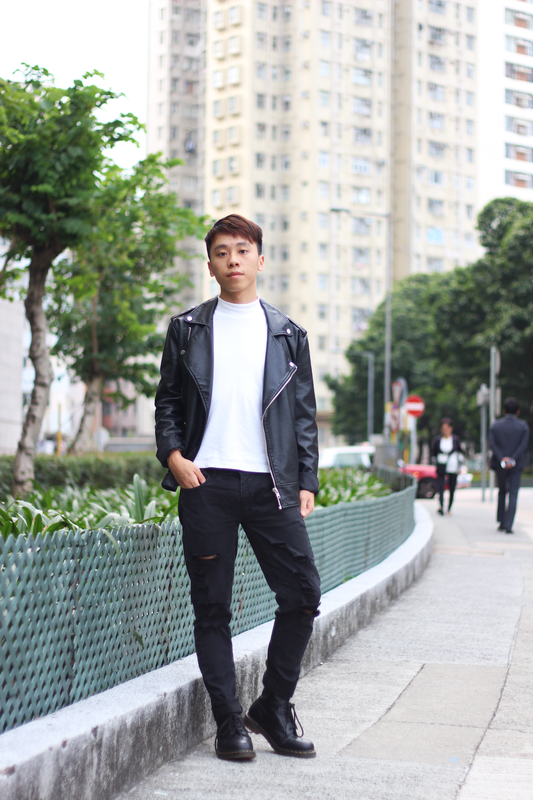 Ripped denim, leather jacket, white tee...all my favourite things in one perfect outfit! Very cool look! I like that jacket! Love the jacket, a classic piece!